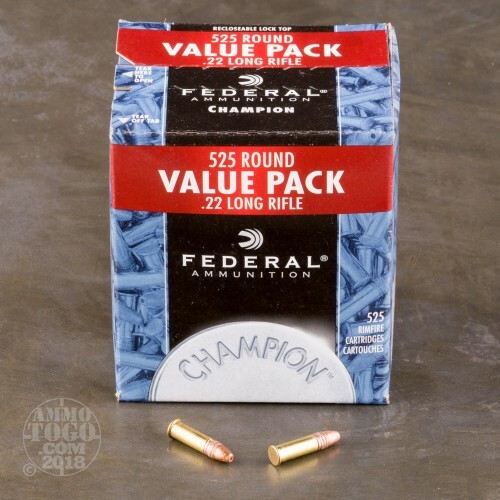 This is .22 Long Rifle Federal Champion 36gr. 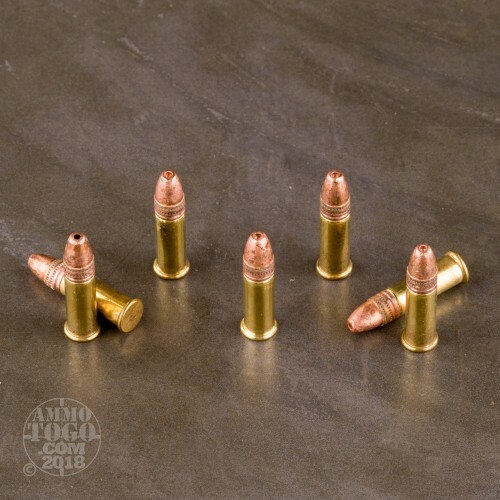 Copper Plated Hollow Point Ammo. 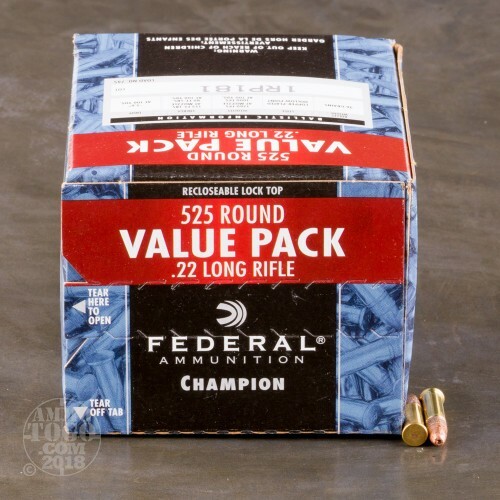 This is some great inexpensive ammo for plinking or small game hunting. This ammo is packed in 525rd. 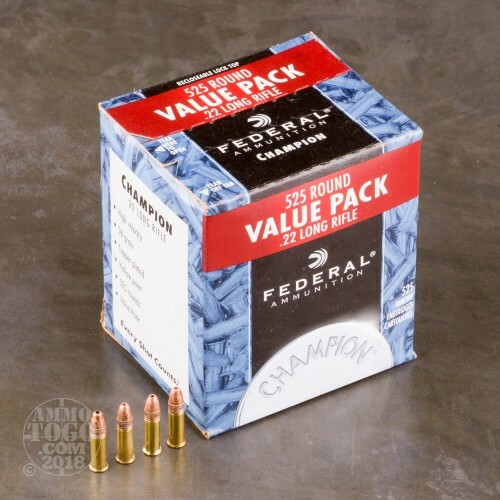 value packs, 10 value packs per case. I've used this stuff for several years now. Great practice, plinking and "duty" ammo. The primary "duty" around my place is rabbit control, and this stuff does the job great. A few days ago I took a rabbit with my Henry lever at about 15 yards on a dead run. One shot, one rabbit. NEVER had any failures of any kind with this stuff. I use it my Ruger single six revolvers which with one other widely recognized brand of .22 LR often experiences real difficulty in ejecting spent cases, apparently due case expansion in the cylinder. NOT this stuff! NEVER in at least 1000 rounds fired. It also feeds and ejects flawlessly in my Mossberg "Plinkster" semi-auto - again probably around 1000 rounds with 0 problems, and the Henry eats the stuff like candy and accuracy is like a tack driver with it. I use these for plinking and varmint hunting (sage rats). They are very effective and don't jam.